My name is Trevor Fick and I am a freshman at Northeastern University in Boston, Massachusetts studying bioengineering. I love all sports but football is my passion, whether it is playing or watching it. My YMCA roots go all the way back to my pre-school years living in West Islip, NY at the Great South Bay YMCA in Bayshore, New York. After moving to Cary, North Carolina when I was 10, I found myself attending some YMCA events, but nothing spectacular. It wasn’t until my older brother, Kyle, started Leaders’ Club that I really wanted to be a part of anything at the Y. Kyle would come home every Monday night raving about how awesome his time was and I couldn’t wait to be old enough to join. Throughout middle school, Leaders’ Club was always something that I looked forward to on Monday nights. In seventh grade, I remember the older leaders talking about this amazing camp called BRLS that we should all sign up for and go to. I was never a camp kid, and I was skeptical; Kyle went ahead and tried it out, being a freshman in high school at the time. He came back with nothing but positive words. I knew it was a place I had to see for myself. I had the privilege to be in the leaders division for the last five years. I remember the first day of my first year, walking off the bus lost and confused. I was that kid that was too cool for Feeling Great. Year after year, the mountain slowly opened me up, changing me into the person I am today. Without my experiences at Blue Ridge Leaders’ School, I would never have found who I really am, or who my true friends are, nationwide. 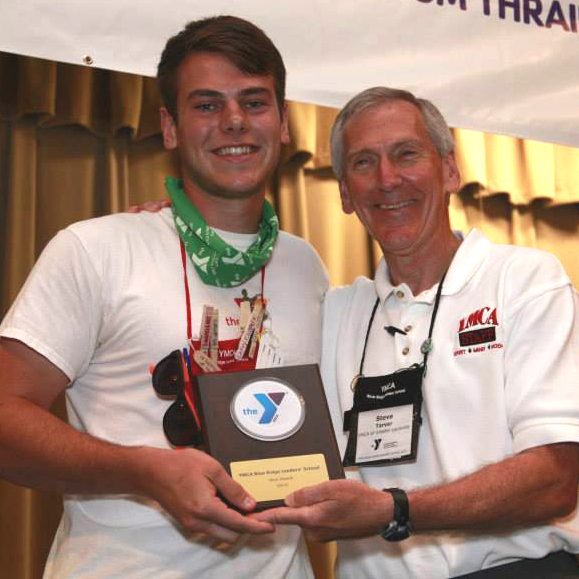 This year marks my eighth year of involvement with the Cary Family YMCA Leaders’ Club and sixth year on the mountain. I am thrilled to be able to serve as Honor Leader at the 2016 Blue Ridge Leaders School!